Lunch Promotion 2019 @ Casa Toscana – Lynnwood Manor Pretoria. 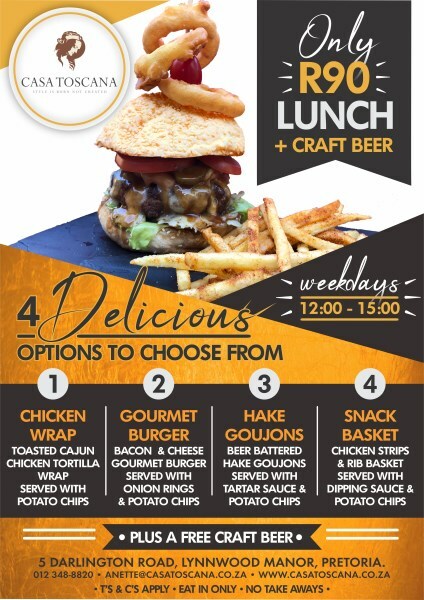 Only R90 for lunch and a craft beer, on weekdays, from 12:00 to 15:00! There are four delicious options to choose from – Chicken Wrap; Gourmet Burger; Hake Goujons or a Snack Basket.